You can select TuneMojis to be made available to their watchers. 3. Browse & Select TuneMojis! Watching a certain streamer can activate the TuneMoji extension and chose the right TuneMoji to play for the moment (LOL, Fail, Well done, etc). 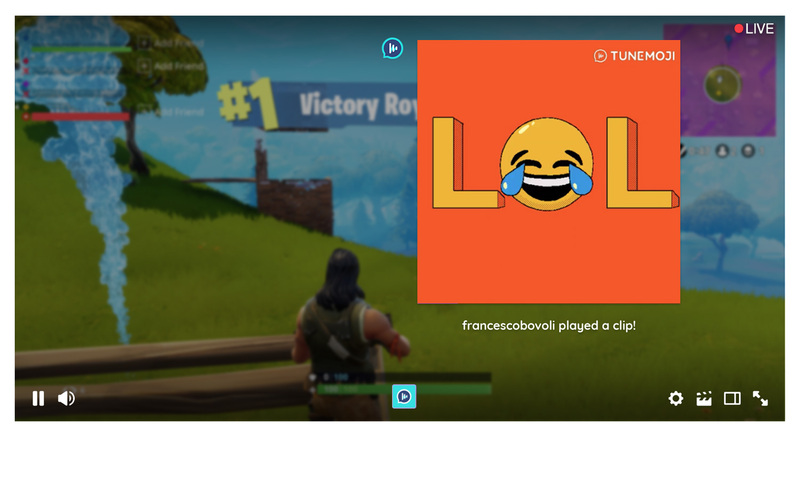 The selected TuneMoji gets played to everyone (streamer and spectators). Great way to interact with your favourite streamers and like-minded people. 1. Did you manage to install TuneMoji easily? 2. Is it working fine? 3. How can we make it better? Please write to support@emoticast.com or directly to who sent you the link.